Time really does fly by – no more so than in the case of Cairo 360. This week, we celebrate our fifth anniversary in the best way possible; with a huge party at Cairo Jazz Club – it’s become a bit of a tradition over the years, you see. On Wednesday 18th we toast to what has been one hell of a ride. Since launching in 2010, Cairo 360 has been exploring the nooks and crannies of Egypt’s capital, seeking out the good, the bad and the peculiar – and there’s plenty of all three around the city. From restaurants and cafes, to nightlife and events, to shopping and arts and culture, no stone is left unturned as we jump from venue to venue to bring our millions of readers news and views on everything there is to see and do in Cairo. It’s no easy task, but we’d be hard-pressed to find a better place to be in. Cairo itself is no easy pill to swallow at times – especially in the last four years. But Cairo is also a city that we’ve been proud to champion. Right now, in 2015, internet entrepreneurship is big business and local lifestyle publications are booming. It was a different landscape back in 2010, however, and Cairo 360 was the first – and still largely remains – the only publication of its kind. Five years on, its relevance and importance as an online destination for living in Cairo is testament to the hard-work that has gone on behind the scenes since day one. But Cairo 360 never rests on its laurels and we’re always moving forward and evolving. Last year, we launched the inaugural edition of the annual Cairo 360 Editor’s Choice Awards – a seal of approval that sought to recognise the very best of Cairo across the fields of dining, nightlife, hospitality, shopping and more. Sifting through thousands upon thousands of reviews to determine the very best was a mammoth undertaking – one that produced many a disagreement – but it cemented Cairo 360’s position as a the steadfast guide to living in Cairo. The awards were a long time in the making and came as the next natural progression; we’ve had the pleasure of visiting some of the most unique venues in Cairo, work with some of the best initiatives in Egypt and bear witness to an ever-changing city. Dining in Cairo is in a constant state of evolution and, even just in the last year, the restaurant scene continues to flourish. We’ve seen more and more restaurants and cafes open under the guidance of local entrepreneurship, with local cuisines adjusted and international ones introduced. Granted, it’s often done with mixed results, but you’ll never be to hard-pressed to find somewhere new and interesting to dine out at. The same can be said for Cairo’s nightlife scene. We’ve seen new bars and clubs come and go – the gap between potential success and potential failure being wider than in other fields – but these places have also provided space the country’s music acts to thrive on a different platform. It’s a phenomenon that has developed almost hand-in-hand with the arts and culture scene. The January 25th Revolution breathed new life into the arts, giving the country’s musicians, artists, writers and performers both inspiration and the impetus to take matters into their own hands. Project like the Downtown Contemporary Arts Festival and the Cairo International Women’s Festival continue to grow, providing an unfiltered, unshackled stage for local artists and providing locals with access to unique international art that is seldom seen here. Art has slowly turned to artisanship, too, with the local shopping scene also seeing a boom in local produce, as creative Cairenes transform their passions into business, with all manner of designer coming to find an appreciation for locally-made, quality goods that are original and unique. 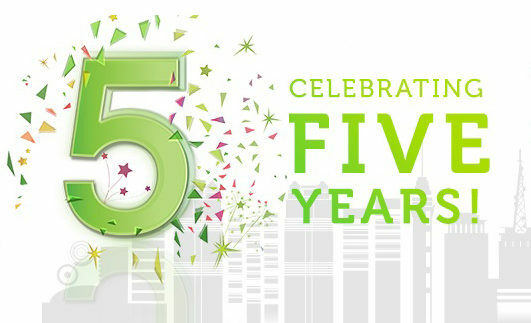 The last five years has also seen healthy living come to the forefront of our collective consciousness. Gyms are frequented as much as ever, alternative workouts like Yoga and Zumba have found a growing niche and independent initiatives like EL FIT and Cairo Runners have seen their popularity and participation steadily increase. If there’s one thing we’ve learned over the last five years is to expect the unexpected; a cliché of the highest order, yes, but one that rings true in a city like Cairo. For the most part, it’s what keeps us on our feet, what keeps Egypt’s capital exciting and what’ll keep the next five years just as enjoyable for Cairo 360, our writers and, of course, our readers.